Attested for overseas service with the 193rd Battalion, C.E.F. Transferrd to the 185th Battalion when that unit was absorbed the 193rd Battalion. Served as Scout and Surprise Officer under Colonel Langford. "The many old friends of Lieut. Donald J. MacGillivary, M.D., who served with the Regiment overseas will be interested in learning that he has now blossomed into Major D.J. MacGillivary, Commanding the 169th Medical Detachment of the Connecticut National Guard, United States Army." 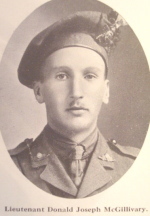 MacGILLIVRAY, Maj. Donald Joseph. M.D. : physician; surgeon; b New Westminster, B.C.. 11 Apl. 1896; s Donald Charles and Christina (Cameron), M., both Candns. ; e pub. and high sens., Antigonish, N.S. ; St Francis Xavier Univ., Antigonish, N.S., B.A 1915; McGill Univ., Montreal, P.Q., M.D., CM. 1924; post-grad. courses at Columbia and Harvard Univs. ; m Mary Magdalen d Hon. Angus MacGillivray, 22 Aug. 1928; one d Dorothy Teresa; practised in Boston, Mass., since 1932; DIRECTOR, CODMAN SQUARE HOSPITAL, BOSTON, MASS. ; do. Prof. Bldg. Assn., Middletown, Conn.; practiced in Middletown, Conn., 1926-32; health offr., Portland, Conn., 1927-32; acting health offr., Middletown, Conn.; dir., of Pub. Health, Middlesex Co. Boy Scouts; mem., sr. surg. and obstetrical staffs, Middlesex Hosp., Middletown, Conn., 1928-32; served in World War, 1915-19; lieut., Roy. Candn. 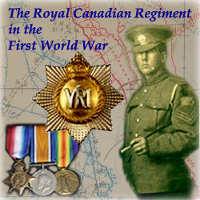 Regt; wounded; awarded M.C. ; maj. commanding Med. Corps, Conn. Nat. 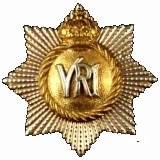 Guard, 1927-32; mem., Candn. and Am. Legions; Mil. 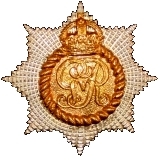 Order of the World War; Assn. of Mil. Surgs. of the U.S.; fellow, Am. Med. Assn. ; Conn. State Med. Soc. ; mem., Mass. and Dorchester Med. Socs. ; Elks; Democrat; Roman Catholic;; recreation golf, Clubs Canadian (Boston); past vice-pres., Canadian Club of Conn.; Middletown Golf; Lions; Wise Men; Office 4 Lyndhurst St., Boston, Mass. ; Home 355 Ashmont St., Boston, Mass.